My grandson Jack Bradley Reese had to be delivered early at 26 weeks due to complications, on October 19, 2018. 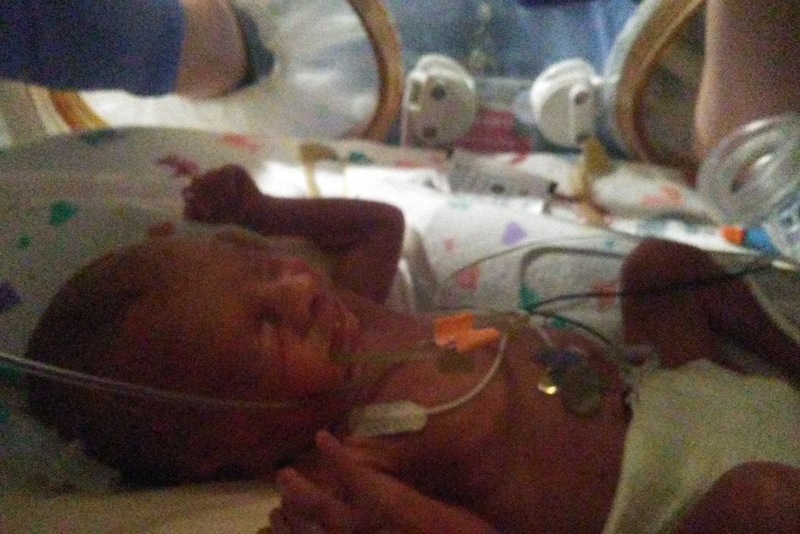 We are grateful that his mom Cathy is doing ok now, but Jack born at 2 lbs. 8oz. needs to be in the Neonatal Intensive Care Unit in Denver for a minimum of three months. This is a real unexpected financial burden for my son Brad and his wife. Although they have some insurance they have a large out-of-pocket and deductible, loss of job time, plus many incidental costs. Brad commutes five hours each way two times a week for Jack’s (big sister) Lorna to be able to attend her kindergarten class. Cathy stays at the Ronald McDonald House for a minimal fee per day. They could use a blessing at this time. It’s been an emotional and stressful journey for them. Baby “Jack” has a condition called PDA which may require heart surgery, and in the past few days has developed NEC. Thank you for your prayers for Jack, his parents and big sister. Any offering you can give, however small, would be greatly appreciated. Let’s move mountains for “baby” Jack!